← The Big Shed is now up and running! 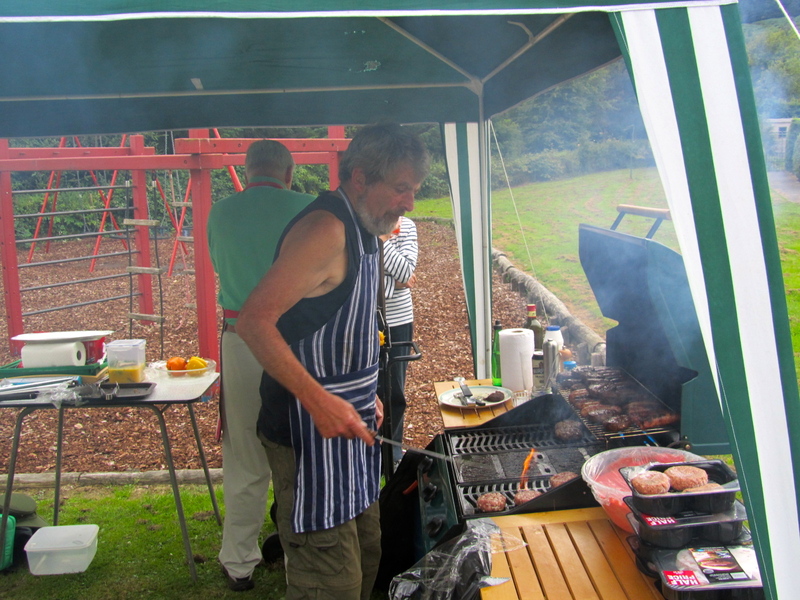 Although that fantastic spell of sunny weather had broken by Monday evening, the rain at least held off for the start of the Fearnan BBQ. 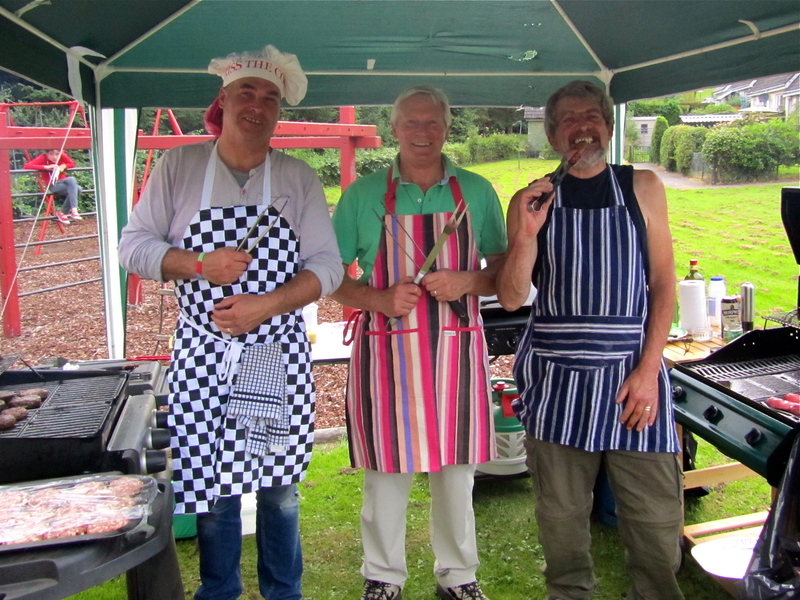 The cooks (Gordon from Tombreck, Laurie and Neil) got the BBQs going around 6pm and started to prepare a delicious selection of beef and lamb burgers, salmon, tandoori chicken, stuffed peppers and sausages. 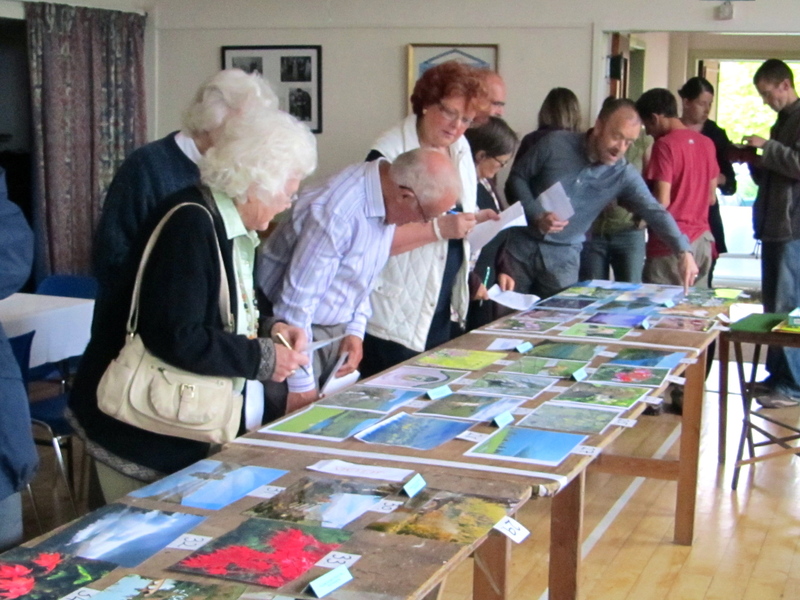 Meanwhile, everyone else was concentrating on choosing photos for the 2012 Fearnan Calendar. Not that it was an easy job – 60 photographs were entered in the competition, covering landscapes, wildlife and flowers, and displayed according to the season they were taken. The quality of the photos was exceptionally high and there was enough material for not one, but two – or even three calendars. There are some talented photographers in Fearnan. 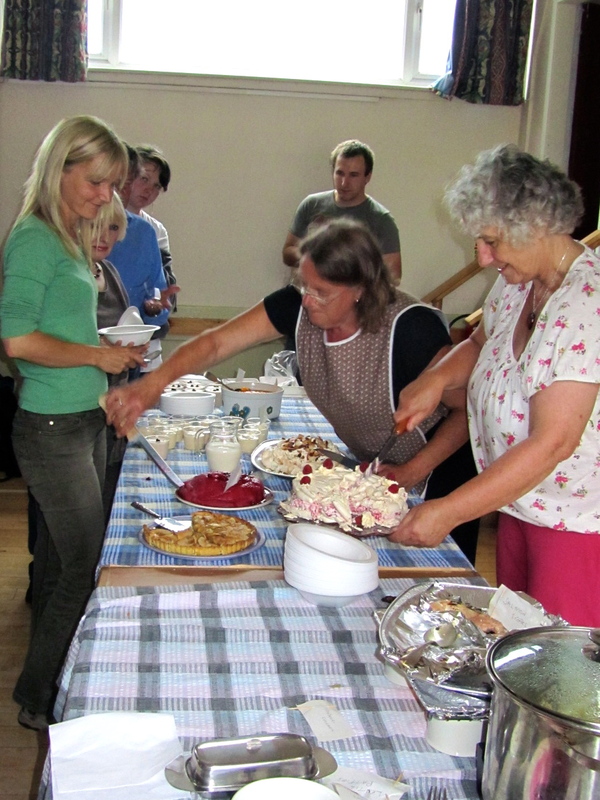 Then the food was served. 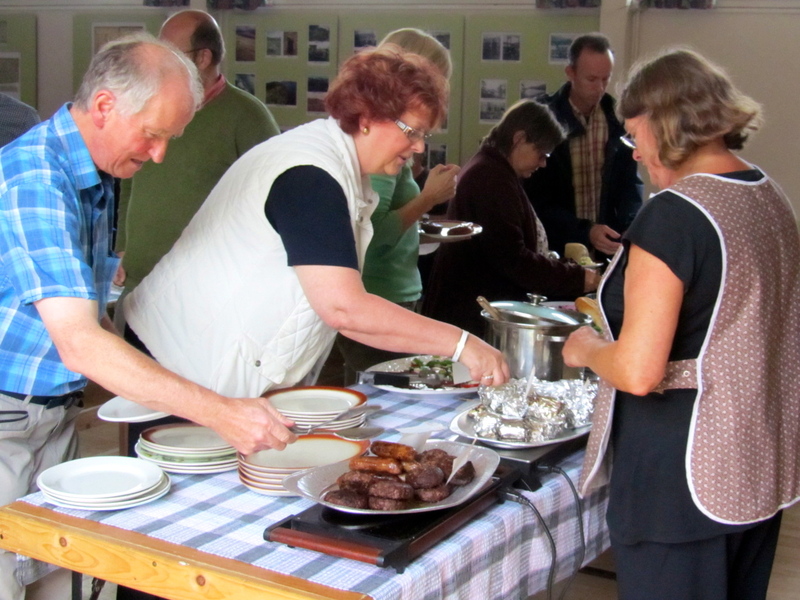 Everyone had a chance to tuck in, to enjoy the company of friends, and listen to the live music provided by Katie McLeod and Andrew Warwick. By 7.30, the cooks had cooked everything there was to cook and were looking pretty pleased with themselves! And then the pudding was served………. 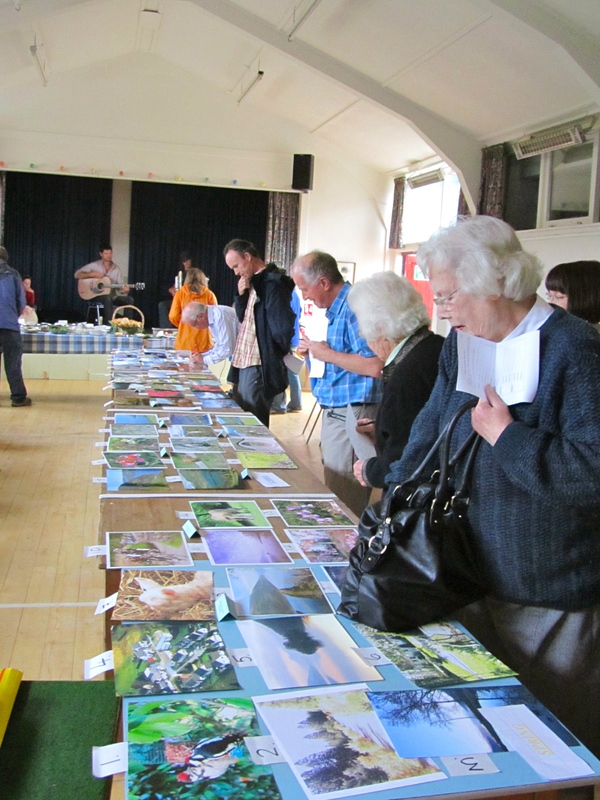 After that, all that remained was for the votes for the photo competition to be counted by Sue and Jane Watt ….. ……and the winning photographs selected. There was a prize for each season, and the winners were Ken Lindsay (Spring), Keith Brockie (Summer), and Peter McKenzie (Autumn and Winter). Well done to them. The 2012 calendar is in production at this very moment and will be on sale first at the Fortingall Fair on 14th August. There will be other opportunities to purchase copies in the coming weeks and it would make a great Christmas present! We’ll let you know when and where they’re available. 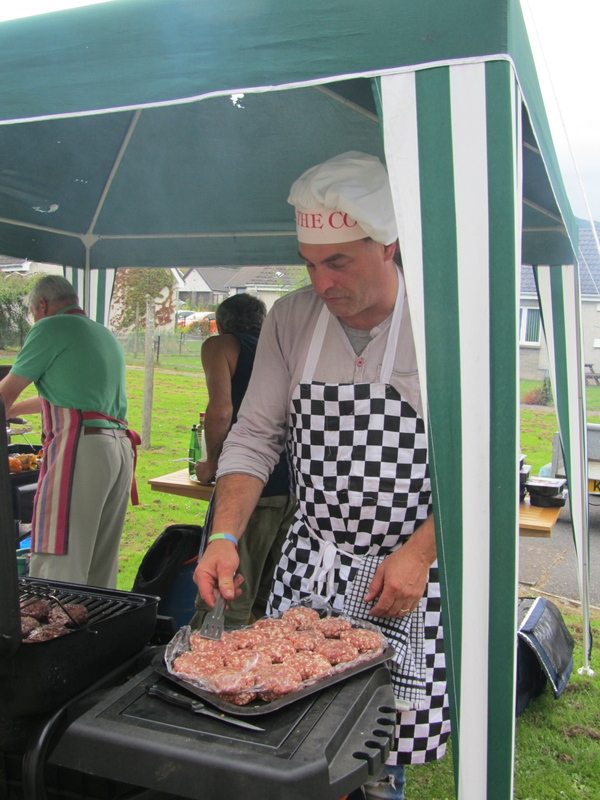 Many thanks to all who helped with the organisation of, and preparation for, the BBQ and to those who lent equipment. Many thanks also to those who helped clear up – it was much appreciated! So, that’s it until next year, but there’s another chance to get together at the September Coffee Morning on the 20th September. 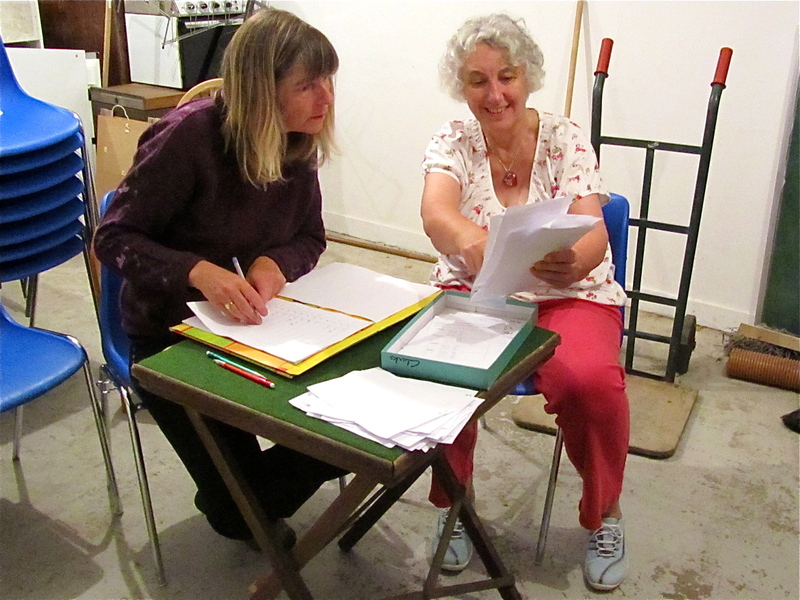 Aye – ye just cannae whack it; it surely was a grand evening – thanks to the hard work of those that made it happen. I one hundred per cent agree with both previous comments ….. Wonderful all round! Wish I was with you !! !